Work in recruitment or finance? Get a salary calculator for your own website. Now available on iOS and Android. Calculate on the move. SalaryBot crawls over a million job adverts from job boards and postings. Are you paid the going rate for your job? Calculate what your job is worth. 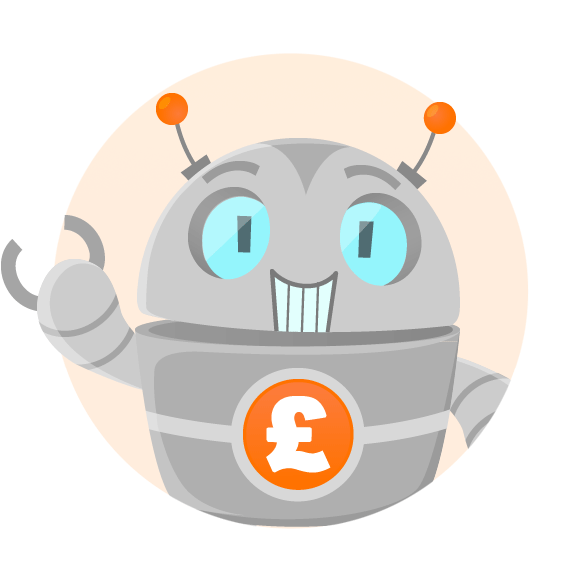 Use SalaryBot's salary calculator to work out tax, deductions and allowances on your wage. The results are broken down into yearly, monthly, weekly, daily and hourly wages. To accurately calculate your salary after tax, enter your gross wage (your salary before any tax or deductions are applied) and select any conditions which may apply to yourself. SalaryBot will automatically check to see if you're being paid the minimum wage for your age group. Disclaimer: Although there are a number of financial tools online, please do not under any circumstance let this constitute as legitimate financial advice. Many are now out of date, and most will only be able to give estimations at best. Whilst efforts have been made to make SalaryBot as accurate as possible, there is always a chance of error. If you're interested in finding out more about your salary taxes, visit the HMRC website or contact your local tax office. © SalaryBot 2019. Cevenco Ltd, trading as SalaryBot, is a limited company registered in England and Wales. Registered number: 11901852.